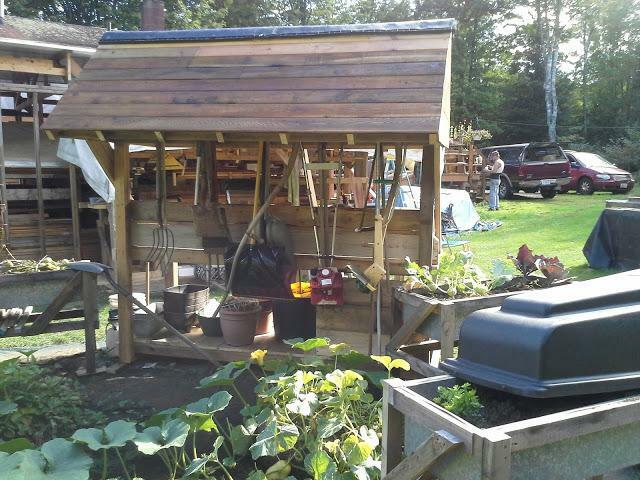 Garden Tools Corner Blog: For The Love Of Your Gardening Tools? I am hoping that for most of you, gardening tools don't fall into this category. Good quality garden tools can and should last a lifetime or ''as near as damn it''. Apart from rejecting the throwaway mentality hand tools, in particular, become comfortable to use and familiar with an old friend feel. To change them is sometimes like learning a skill all over again. I have a much loved digging spade that I just can't shake off despite that fact that the digging blade has worn away to three-quarters of its original length. The digging spade is about 20 years old, by the way. That's a lot of frickin digging, and still, haven't found any gold in the yard? With any engine is driven tools like lawnmowers, strimmers and hedge shear you are probably best to get them serviced by a professional. Mowers definitely need to be serviced annually, change the oil every year and have their blades sharpened because of the workload they do throughout the year, and my wife who seems to find every rock and tree root in the yard. The garden tiller which works very hard in my garden I might change the oil twice a season just keep an eye on the color of the oil darl? change it.With strimmers and hedge cutters if they are only used for a couple of days a year biennial servicing should really suffice. If you use them like I do service yearly. I would, however, suggest that you start this equipment up once a month throughout the year to check all is in working order. Electric tools need plugs and cables to be checked and any internal oil if there is the facility. A light rub of the cutting blades with wire wool or brush and a wipe with a rag soaked in vegetable oil is advisable. Many hedge-cutters are self-sharpening so this should take care of itself. Other hand-held cutting tools like loppers, saws, lawn edging shears, hedge shears and secateurs want to have their blades rubbed lightly with wire wool to remove gunk from plant sap residue and any rust that has occurred during the year. For saws, it is safer to use a wire brush for this job and retain all fingers. Saws, apart from chainsaws, are rarely sharpened these days. Loppers, shears, and secateurs should have their blades sharpened annually using a fine grade file or whetstone. Always be careful while doing this as the edges can be sharper than you might think. With digging tools, spades, forks, shovels, trowels and edging irons wash off all traces of soil and allow to thoroughly dry then wipe over with a vegetable oil-soaked rag or I use a sock. If your spade or edging iron has become blunt you might sharpen the cutting edge with a metal angle grinder. Any tools with wooden handles should be checked for splinters and sanded off if arising. A light application of linseed oils afterward will keep them in tip-top shape. Any broken handles should be refitted with good quality hickory replacements. If you can find Elm is the strongest of all wood handles. Always try to store your tools in a dry environment and if possible keep them off the ground of your shed or garage. Wherever you store your tools try to have a place for everything and keep it as orderly as possible. I keep all my tools under cover of my potting station, I call it. This is a good time to make an early New Years resolution clean up that shed or garage and be determined to keep it or chuck it. At least until spring anyway! I know I write about tool care a lot. But If you take care of these tools they WILL take care of you. good day and think spring! !